The tour will start visiting the Central Market located in the center of Guatemala City where you can find a diversity of handicrafts, textiles, fruits, vegetables and you can also try our typical food. We will continue to one of the most exclusive malls in the city: Oakland Mall. In the afternoon you will be transported to Paseo Cayalá to continue your day of shopping. In whichever direction you start your shopping experience; it’s going to be a great day of shopping in the City! At 9:00am we'll be departing from your hotel to the center of Guatemala City. Your exciting shopping day will start with a stop at the Central Market, located in the back of the Metropolitan Cathedral. At the Central Market you can find all kinds of typical items of Guatemala as textiles, leather, wood, silver, ceramics and sheet metal, among others. You can also purchase basic consumer goods such as grain, vegetable, fruit, meat, etc. and typical food as tostadas, enchiladas, chuchitos, atoles and more. We will continue to visit one the most exclusive malls in the City: Oakland Mall, where you will find modern shops, financial areas, restaurants, and many other services. We'll have time for lunch (own expense) at 1pm. Your guide can suggest you where to eat depending on what you like. 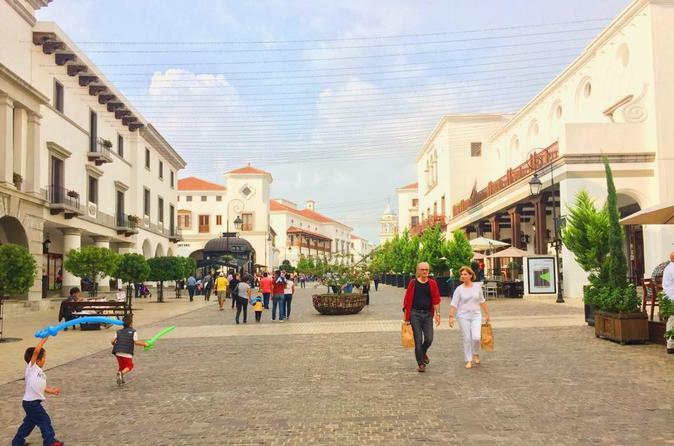 After lunch, we will continue to visit Paseo Cayalá, an exclusive complex with boutiques, shops, restaurants, activities like zip line, bikes (not included), and special activities depending of the season. Here you will continue your day of shopping, you can also have a tranquil walk or enjoy of a cup of coffee to finalize your exciting day. Transfer back to your hotel in Guatemala City is 4pm.